Whether it is a modern building or a monument White has always played an important role. This color is an evergreen like of people. The pristine beauty of this gives a comfort and soothing effect. This color is adaptable and accommodating with any other background or decors. The more aesthetic feeling is felt when this is used. When space is painted white it reflects light and makes it look larger. However, the weather is outside there is brightness inside and it improves illumination. A clean look is induced into the interiors without much effort. Even if it is a narrow passage this color makes it look bigger and cleaner. Ceramic and porcelain tiles are available in different sizes in white. Many other colors are good but when they are painted on the walls there is not much satisfaction attained. But white makes all the difference. The displays and possessions can be displayed well with the white background. When other colors are not much satisfying this will give the perfect look which was imagined. Marble flooring is known for its pristine white color. All the decor or furniture is highlighted with this background. Vibrant accessories can be used without hesitation as they do not look very bright. Almost all the contemporary, traditional or eclectic styles accept this to give out beautiful effects. Carrara white tiles give a dream finish. When dark accessories or furniture is used there is a balance of color if it is neutral background. White takes the center stage and accommodates other colored accessories and items. White comes in many shades like ivory, eggshell, snow blush and pale sisal. It depends on the type of white we require. Some feel bright white is the best and some feel dim white is the best. So it is better to choose it according to their likes. When bold and white colors are liked it is better to choose a white flooring and furniture to be bold with dark colored furnishings. White is clean and it gives a lot of mental peace to the people. Rather than plain white, gray also can be combined to give a trendy look. White can be used for any place in the house, patio, passage and exterior flagstones also. They are available in natural stone or even synthetic tiles. According to the budget, the type of tile can be chosen. Natural stone may prove to be costly than the man-made ones. Home decoration can always be given a nice definition with natural stones such as marble, granite or travertine, etc. To create a boundless and attractive appearance within the home, it is always preferred to go with these excellent selections. These stones are not only available in remarkable shades, but also you will become an admirer of patterns of these natural stones. 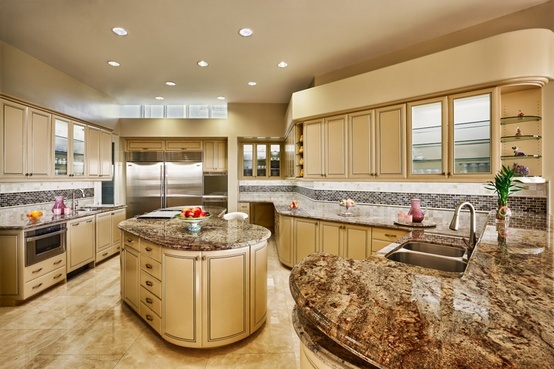 A granite countertop or marble backsplash can definitely give a classic look to your kitchen and bathroom. Again, for flooring too, these natural stones are just perfect. So, let us have a look how these natural stones are going to make our living-place more pleasurable. Marble: Marble has always possessed an exotic appearance and flooring done with marble tiles can surely give you a nice interior. Besides charming colors, veining on the marbles is also able to make your living-place more glamorous. This stone is perfect for designing fireplace or countertops. Travertine: Both for interior and exterior flooring, travertine is known to be one of the popular natural stones to the homeowners and interior designers. To give the outdoor an outstanding appearance, it is always preferred to opt with Travertine flagstones, copings or ledgerstones. This natural stone can be combined with glass or metal and there is no doubt that this will make the exterior more effective. Again, this stone can be available in some well-defined shades such as cream, brown, pink and copper and one can surely select the best among these colors. Slate: Dealing with Slate pavers has always been proven to be awesome for the exteriors. Slate tiles are hugely being used for flooring, wall cladding, etc. The colorful patterns are always ready to give the best appearance to the outdoors and indoors. Blue, gray, brown, pink, etc are some exceptional colors which will surely convert your living areas into a dream place. Limestone: This is another popular natural stone which is broadly used in industrial as well as in residential places. Countertops with limestone will always give a striking appearance to your kitchen. While you are renovating your bathroom, then also you can go with limestone mosaic. 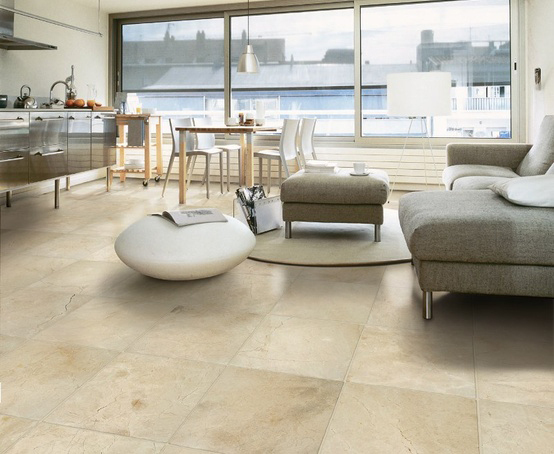 The colors and patterns of limestone will surely give your living areas a comfortable look. Onyx: This semi-precious stone is widely applied in various business areas. These are suited for designing charming countertops such as bartops, etc. This stone also looks nice with the combination of glass, metal, etc. Apart from having charming appearances, those natural stones are easy to maintain and durable too. Fireplace in the house is according to the choice of the homeowner. Some prefer it to be in the living room and some in the master bedroom. Many look alike, but using a unique type of tile will make it look different. There are tiles which match with the background and there are contrast colors also. The value of the house increases definitely by remodeling the fireplace. This is the focus point of any living area. It is better to have a pristine looking fireplace with some stylish tiles. The surround, backdrop and hearth of the fireplace have to be installed to give the best look. Ceramic Tiles: These tiles can be used for the surround or hearth. There are many colors available and it is within the budget. These tiles are used for a plain looking fireplace. PEI rating of the tile should be 4 to 5 for using it for the hearth. These tiles are tough to tolerate the heat. Porcelain Tiles: These tiles are expensive and more durable than the ceramic tiles. There are tiles which look like natural stone and wood in these tiles. They are tough as stone and are affordable. It is necessary to take the PEI rating 4to 5 for using it for the fireplace. Granite: This is natural stone, scratch and heat resistant. In natural stone, granite is the strongest for a fireplace. It does not chip or crack and makes the best surround. It is easy to maintain this stone. It gives a special look for the place when installed. Marble: They give a luxurious look to the place. It is more appealing with its variety of colors and elegant veins. It is best for both hearth and surrounds. Slate: Though this natural stone is not as durable as granite, it is popular for its natural variation of color. The varying texture and color give more beauty to the place where it is installed. There are colors like gray, purple, orange and black in slate. They look natural for hearths and surrounds with their elegant color. Antique tiles: Antique tiles define the fireplace. They are reproductions of the antique tiles. The designs are hand painted, hand-made and some are popular motifs. These tiles are completely different from the tiles available in the market. The hearth and the surround tiles are the smartest option for any house. This adds to the beauty and keeps the family safe. Athens gray is basically gray and white in color. There are linear patterns on the surface. This unique pattern is beautiful. It is a sleek tile and can be used for wall and flooring. They are ideal for backsplashes. There is a variation of color on the surface of the tile. Athens gray 6×24 honed marble is having the linear ribboning colors. The design is the same but due to trim or slab size there may be flexible designing. They can be used for countertops in the kitchen.as it is non-flammable. Many acids and alkalis are used in the kitchen but this stone does not react with it. Maintenance is a must for any type of marble. It requires a swamp cloth and a mild soap for it. There is resistance to fading, stains, and discoloration. Athens gray 6×24 honed marble has a matte finish. It gives a rich and elegant décor to the place. It is best for any indoor and outdoor applications. This tile does not get frozen or thawed due to low temperature. It suits any contemporary or classic decors. The color of the marble is divine giving an aesthetic feeling. The wooden grains on this tile give a special look to the décor. Marble is a natural stone which is found in the earth crust. The main composition of this stone is limestone. It can be used at any part of the house. It adds an aesthetic effect to the house. Flooring and walls look good with it. The people interested in good interiors use it to the kitchen and bathrooms. It is best for fewer traffic areas. Normally commercial buildings do not use marble for bathroom as it may prove to be costly and is hard to maintain. It is porous and catches stains faster. It is better to wash off the stains as soon as it is caused. Tumbled and honed marble are the varieties used for the bathroom. Marble for bathroom has to be polished after installing. A shining surface gives the best visual effect. It has to be washed regularly with soft detergents. The stains have to be scrubbed, if left for a long time the stone absorbs it. During summer also this stone is cool and gives a soothing effect to the house. As it is natural many eco-friendly lovers use this stone for interiors. An elegant look to the bathroom is got naturally by this. 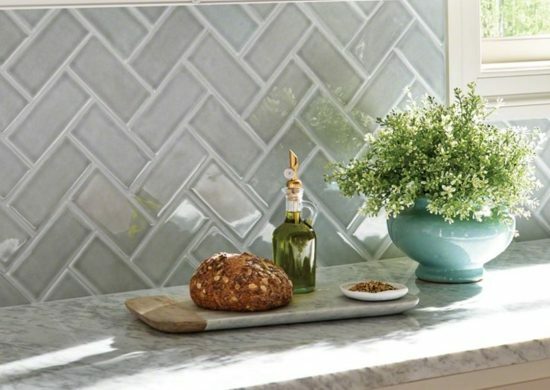 If sealed properly it is the best backsplash tile. People are choosing eco-friendly products these days. When it comes to renovating or building a new house also they choose natural products. Marble mosaics for living room is chosen by many house owners. Marble is a natural stone which comes in the shade of white and has light color designs on it. They are quarried and cut into shapes. This stone keeps the place cool. Many people living in the tropical countries like to use it. This keeps the place cool and thus preferred for the living room. It can be used to any part of the house but has to be maintained well. They are robust and durable. These tiles are good for many years if maintained properly. Marble not get scratches easily and so can be used in the traffic areas also. The colors of marble mosaics for living room come in cool colors which add décor to the room. They are used for cladding the walls also. They tolerate a lot of humidity and can be sued for bathrooms and kitchen too. A little scrub for stains and regular cleaning will make the tile look new. They are durable and can be used for many years.